$1 Million Grant Awarded to UC Research Team For "Super-Sunscreen"
The University of Cincinnati's environmental health department was awarded $8.7 million from the NIH. A research team at the University of Cincinnati is developing a topical sunscreen cream that takes UV protection to the next level and requires fewer applications than traditional sunscreen thanks to a $1 million grant from the National Cancer Institute. 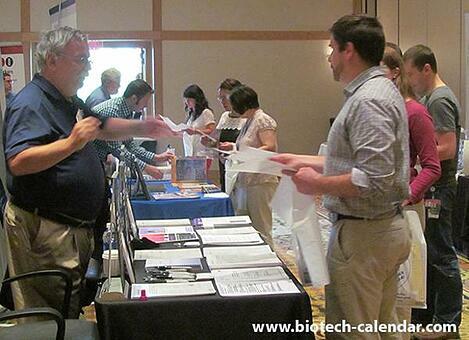 At last year's event, 138 researchers attended. Of these total attendees, 37 were purchasing agents, professor and post docs, and 21 were lab managers. That means 26% of attendees were decision makers! These attendees came from 14 different research buildings and 31 on-campus departments, including internal medicine, molecular and cellular biology, and cell and cancer biology. With so many researchers and decision makers present, you, as a lab supply company, will have the chance to show-off and demonstrate your products to the people who actually make purchasing decisions at the university. You will have the opportunity to greatly increase your sales leads and find new users for your products. If you are a University of Cincinnati researcher interested in attending the 2015 event, visit the "Researchers" link below to pre-register and save yourself time the day of the show!